Toronto's ravines are a major asset for the city, significantly improving the quality of life for its residents. The Yellow Creek ravine running through the Vale of Avoca from the south end of Mt.Pleasant Cemetery to Mt. Pleasant Road is a particular treasure partly because of its proximity to Yonge St. and the St. Clair subway stop. The ravine is enjoyed by people from all over the city. Unfortunately the creek and ravine slopes have deteriorated over the years to the point that large sections are now threatened due to erosion, creating a risk to existing infrastructure, homes, and trail users. There is evidence of various control works implemented over many decades, however, most are in complete disrepair or are too localized to address the broader water management issues plaguing this highly valued landscape. 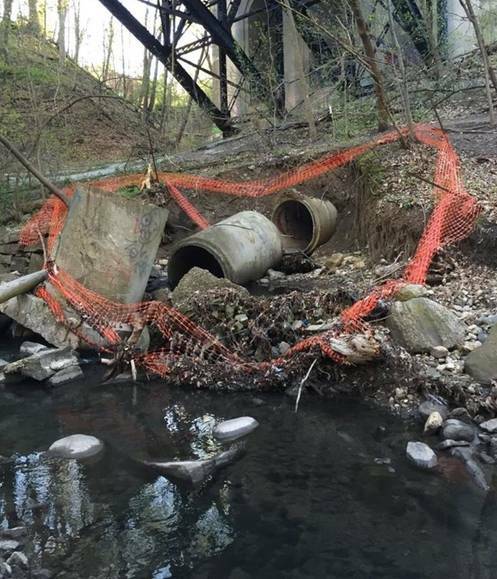 This petition asks the city and the Toronto Region Conservation Authority (TRCA) to develop and implement a master plan to remediate Yellow Creek and the surrounding ravine trails and access points. A comprehensive plan is needed to address the many interrelated aspects. Check out our Facebook page for additional photos and updates.